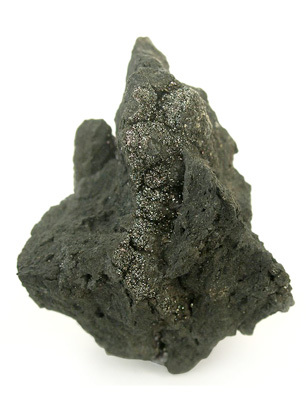 Arsenic is an elemental semi-metal found naturally in rocks, minerals and ores. It's used in a wide range of industries, including electronics, glass processing, and the production of pigments, textiles, paper, ammunition, pesticides and pharmaceuticals. Its most common use in the United States is as a wood preservant. Arsenic can arrive in drinking-water through industrial and agricultural run-off, but it is most likely to arrive through natural contamination of groundwater. Human exposure can also occur through food, especially fish and meats. In groundwater, arsenic usually occurs in two forms: trivalent arsenic (As+3, or arsenite) or pentavalent arsenic (As+5, or arsenate). Both are harmful to humans, but trivalent arsenic is more harmful and more difficult to remove from water. As+3 can be converted into pentavalent arsenic in the presence of an effective oxidant such as free chlorine. Treatment with chloramines, however, will not ensure a complete conversion of trivalent arsenic to pentavalent arsenic. Acute exposure to arsenic can cause symptoms of vomiting, diarrhea, muscle pain, weakness, abdominal pain and flushing. Long term exposure has been shown to cause skin changes, nerve and cardiovascular damage, developmental problems, and diabetes. Arsenic is also a known human carcinogen, with evidence showing that it can cause cancers of the skin, bladder, kidney and lungs. Arsenic is most effectively removed from water by ion exchange, reverse osmosis, and distillation. “Filtration through activated carbon will reduce the amount of arsenic in drinking water from 40-70%. Anion exchange can reduce it by 90-100%. Reverse Osmosis has a 90% removal rate, and distillation will remove 98%. If the arsenic is present in organic form, it can be removed by oxidation of the organic material and subsequent coagulation.” — Enting Corp. Engineering Handbook.